Ahead of a concert marking the centenary of the First Dáil in Ireland, Eamon Sweeney speaks to The Journal of Music about the range of music to be performed and why the concert space is so powerful. This Thursday 17 January, a concert curated by Baroque guitarist Eamon Sweeney will take place in the Mermaid in Bray to mark the centenary of the First Dáil in 1919. As well as being the beginning of the modern Irish state, the meeting of the Dáil, on 21 January 1919, was also the day the Irish War of Independence began. 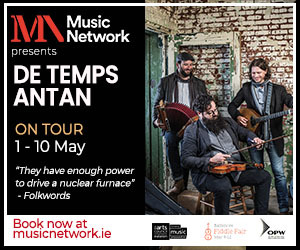 Before Sweeney began his Music Network Artist Residency last year, he had been conscious of the various upcoming anniversaries – the first woman to be elected from Ireland to Westminster in 1918, the end of World War I in 1918, the First Dáil in 1919 – and he and his early music quartet Sonamus had been considering commissioning some new work to mark the events. The residency, which consists of six concerts and outreach work, offered the opportunity to put shape on his ideas for an event focussed on the First Dáil. I’m very conscious these days of how concert settings are – in a very distracted and fragmented world – one of the most focussed and meditative settings where people are still willing to sit silent and focussed on a flow of activity… There’s a ritual to the concert space that everybody willingly enters into and there’s a set of unwritten agreements between ourselves that we don’t question. There are not many other places in our society where we all enter into an unspoken contract with each other like that. The First 100 Years concert on Thursday will feature Sweeney and Sonamus, the Irish Chamber Orchestra, poet Theo Dorgan and singer Mary Coughlan. The artists are performing a range of work, including new arrangements of music and song published or recorded around 1919, as well as a newly commissioned work by composer Fiachra Trench titled Aisling na Síocháin [‘Vision of Peace’]. What inspired [Trench] was his understanding that there was no anthem in the early decades of the Irish state, and that different tunes were occasionally used. 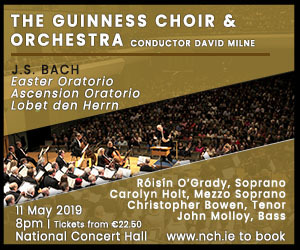 Trench has used quotations from a variety of pieces and songs – such as ‘An Maidrín Rua’ and ‘A Nation Once Again’ – as well as today’s national anthem within his new work. It also concludes with a newly written melody in 5/4, consciously picking a time signature that would not be militaristic or would not typically be marched to. Sweeney’s early music quartet, Sonamus, with which he plays Baroque guitar, classical guitar and occasionally lute, was formed in 2013 due to a combination of music, poetry and geography. 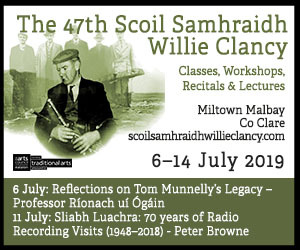 All four members – cellist Annette Cleary, harpsichordist Rachel Factor, whistle player Cormac Breatnach, and Sweeney – live near to each other in County Wicklow, also close to where the poet Seamus Heaney lived. The group met through local readings by Heaney and their musical chemistry encouraged them to form a group. 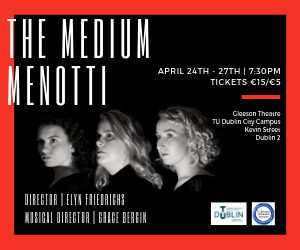 We didn’t plan it, but the range of tones between the plucked strings, the harpsichord, the cello and the whistle gave a very rich tonal palette, and it gave us a lot of versatility, so that we can play cello concertos by Geminiani, Dónal Lunny pieces, harp pieces by Carolan and Connelan and more. For the Mermaid concert, Irish Chamber Orchestra double-bassist Malachy Robinson has written arrangements of traditional tunes and songs for Sonamus and the orchestra to play – tunes such as ‘The Foxhunter’s’ and ‘The Foggy Dew’. 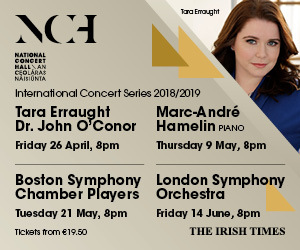 Mary Coughlan will also sing an arrangement of ‘The Last Rose of Summer’ and Theo Dorgan will read poetry inspired by the period of the First Dáil. The ICO is also playing works by Holst and Stanford to give the audience a sense of the classical music in Britain and Ireland at that time. This is the second of Sweeney’s six concerts at the Mermaid. In December, he presented a performance of European Renaissance and traditional Irish music with mezzo-soprano Paula Murrihy and fiddle-player Colm Mac Con Iomaire. 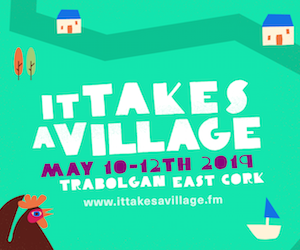 After the First 100 Years, there will be a concert in February featuring harper Tríona Marshall and guitarist Tim Edey; in March, a concert focussed on composer Brian Irvine; in April, Baroque guitarist Xavier Díaz-Latorre from Spain; and in May, a concert for all ages by Concerto Para Bébes from Portugal. The combination of early music, traditional music, classical and new music reflects Sweeney’s own musical background. He studied violin in the Royal Irish Academy of Music throughout his childhood (his own father played traditional fiddle), but began learning guitar in his teenage years. He subsequenty studied with Mike Nielsen and John Feeley and undertook a master’s degree and PhD in Baroque guitar in DIT Conservatory of Music and Drama. ‘Baroque guitar has this strummed, rhythmic element’ that Sweeney finds especially appealing. The Music Network residency, however, has suggested more new avenues for the guitarist. A lot of relationships have been formed through the six concerts with new people – and people I was always interested in working with. I think it’s certainly changed my practice and given me more and more ideas for the future. The First 100 Years takes place this Thursday 17 January at 8pm in the Mermaid Arts Centre in Bray. 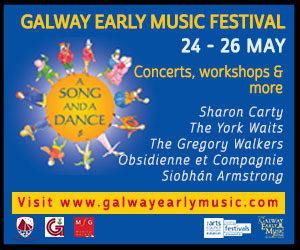 Tickets are €18 and €16 (conc.). For booking, visit www.mermaidartscentre.ie. Sweeney will programme six concerts and an outreach and learning programme.